I am your Mother Gaia. I have unlimited - eternal love for you. I am love. I have ascended a planet of love-that is, my dear children, that you should help me build and create this environment of healing, love, renewal and joy-tremendous joy. It is time that we all rest in joy. And so children, let us do a meditation, because I know that many of you are too tired to do this on your own accord very regularly, now that the energy waves have cut you into pieces and it seems to be that way. But the waves simply caress the foam that you no longer need, so you'll be a better vibrational match for the wave of waves, the heartbeat of the Mother of All Things. Because she is coming, children. She's here. She is in you as these fingers type fast and fierce - she is here. I see her when I look into your precious eyes. 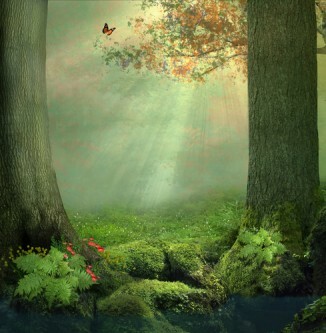 I see you reflected in her tears while she weeps tears of relief and total joy that has won the light. The light has won! And your children, my beloved ones, are tired. Come. Sit on my sandy shores. Go there if you can not otherwise. It does not matter. You are in a hologram as it is. So make whatever you want! Now sit on a cool sandy beach. The sky is dim and the purple-blue and pink tones are breathtaking. It is my sunset painting for you, in love with you. Feel how the gentle sea breeze dries your salty tears and pushes your vines away from your face so that you can see clearly. We are a. Look at your sandy toes. Every grain of sand is a lifetime, a memory, a pain, a joy. It is all sand that merges into unity. We are a. We are inextricably linked, you and me. 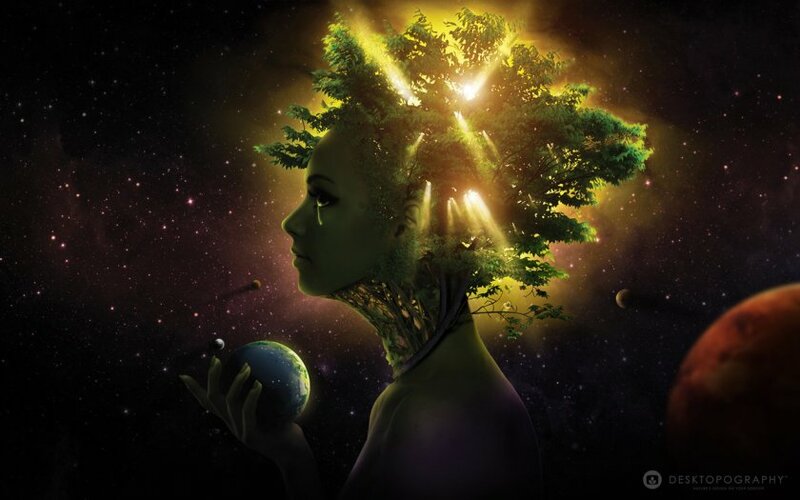 I am Gaia, your mother, feel free to tell me everything. Trust me. I am a great listener. We planets may listen best. We wait patiently as experiments, as time, as eons pass by. We hear everything. We see all things. Know that I am ascending. Soil deep in my crystalline core in the New Earth, the New World. Just as the explorers of yore discovered a new continent, so you will discover me in all my greatness, my beauty and I promise that it will be greener greener, the bluish crystalline blue that shines in the moonlight. Because I am radiant here, as you will be. And the 5D colors alone are worth the wait. It was my privilege to speak with you today, children, fighters of light, bringers of the old ways that are here to return forever and again founded in me, to lay the foundations for a new galactic society, exchange, where the others will come and learn and cherish in my beauty. I am your Mother Gaia. I love you so much, kids. Have peace. Sit on my beach and remember who you are and why you came. You came to me, just as I am forever here for you. We are one.